One Awesome 1967 Dodge Dart Build! 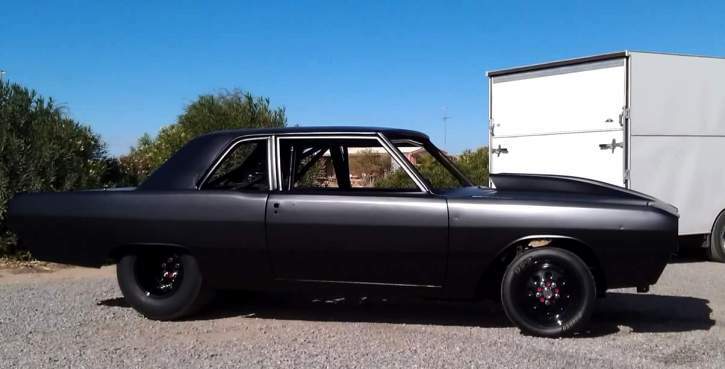 Originally from Wampee, South Carolina and currently living in Yuma, Arizona Jake acquires this 1967 Dodge Dart 3 years ago as a shell sitting on square tube chassis with the intention to build a hot street car out of it. As an Aircraft/Fighter Jet mechanic he has done all the fabrication, wiring, body work and paint himself and if you ask me Jake has done a tremendous job. 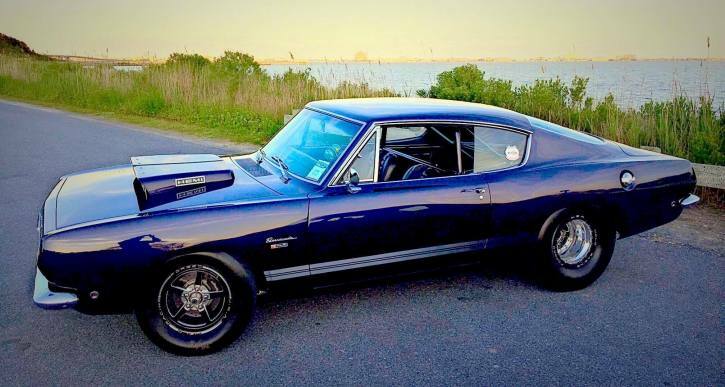 At first he painted the 1967 Dodge Dart with a single stage Hot Rod Black and later on laid the stunning TCP Firemist Purple the muscle car wears at the moment. The cool Black Mopar graphics design is based on the Dodge Challenger Drag Pak, the body is all steel besides the hood, trunk and bumpers, it rides on Weld Racing 2.0 Magnum Drag wheels wrapped in Mickey Thompson slicks and the rear is a Strange ladder bar 9’35 splined with 4.29 Pro gears. 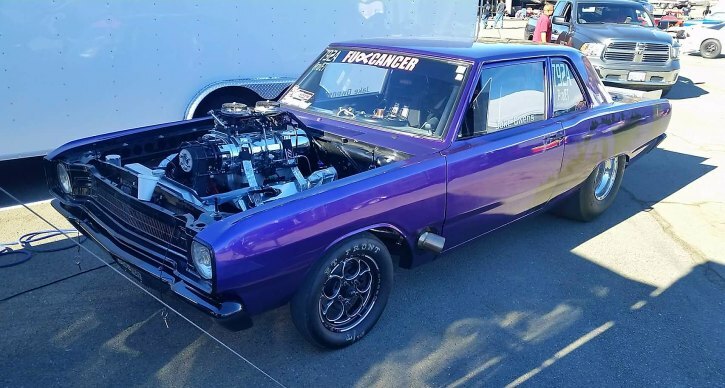 When it comes to power Jake’s Pro Street 1967 Dodge Dart counts on 496 cubic inch V8 with 14/71 Blower and FAST XFI EFI twin throttle bodies fed by Magnafuel system linked to Reid Racing ATI 2-speed Glide transmission with trans brake and custom billet convertor making over 1000hp. 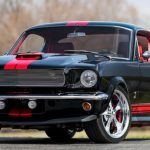 The motor also has billet steel main caps, ARP stubs, Diamond Racing pistons, Comp custom solid roller cam, Smith Brothers push rods, Hughes 1.6 Chyrogenically treated rockers, Edelbrock Victor 440 heads, Mopar M1 intake with Pro Systems 1050 Dominator and more. 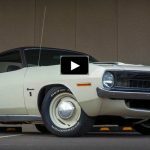 And for those who read the entire write up here is a quick burnout video. Watch, Enjoy & Share!